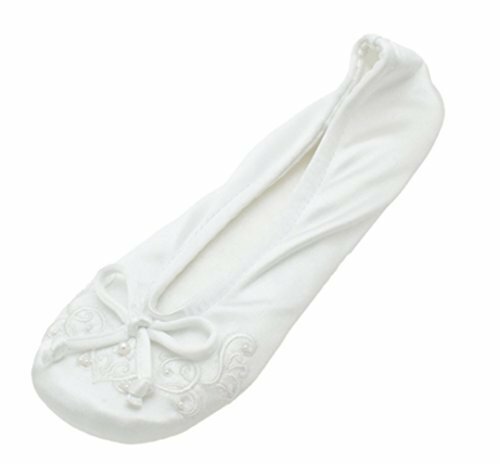 Women's Embroidered Pearl Satin Ballerina Slippers are an ISOTONER Bridal Classic. They are a perfect choice for the bride and her bridesmaids. The stretch satin upper and foam cushioned suede leather sole surround your feet in the ultimate comfort of ISOTONER's quality materials. The toe of these slippers are adorned with embroidery and pearl accents.